There is no perfect marketing structure, but there is an optimal structure for your strategy, firm culture, and desired level of investment. 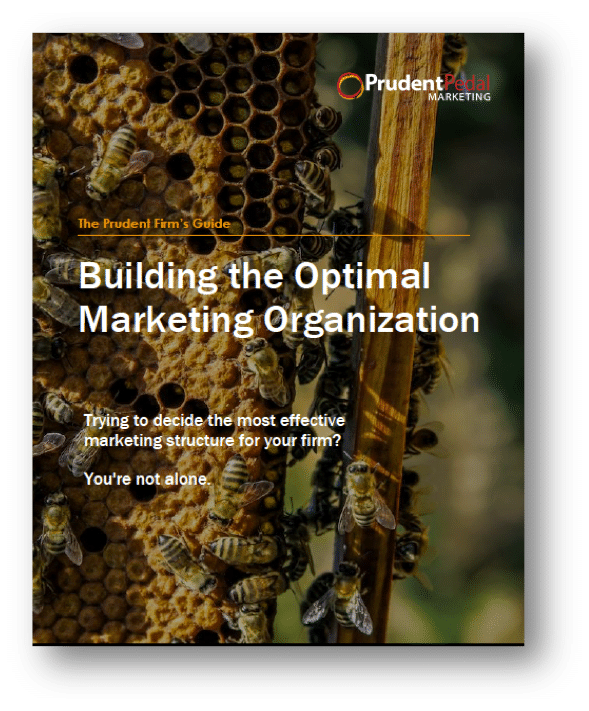 This presentation recorded at the Association of Accounting Marketing: Summit 2018 helps you think through the 5 Tough Questions you must answer before building your marketing organization. 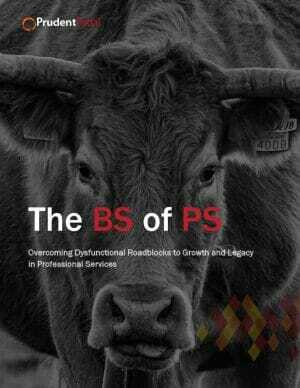 Your guide to overcoming the roadblocks to growth and legacy in the wonderfully dysfunctional world of professional services. Growth in professional services is essential. It provides scale, opportunity, strategic options, and wealth. But, pursuing growth for growth sake is the mindset of a cancer cell and it can cost a firm its soul. The capability, service or consulting model that built your brand becomes commoditized, trite or simply out of fashion. All firms reach this place. What distinguishes professional services firms from others is how they see, interpret and transcend what is happening. Here’s how to get growing again. All firms have different strategies, talent, budgets, and goals. Don’t build a function the way some benchmark says you should. Build it so it achieves YOUR firm’s strategic objectives. 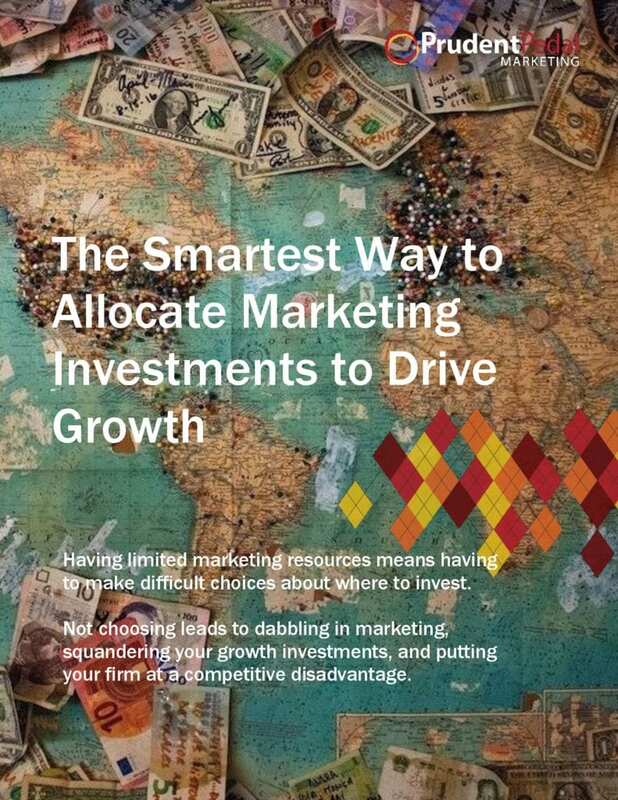 Are You Allocating Marketing Investments to be Fair or to Drive Growth? 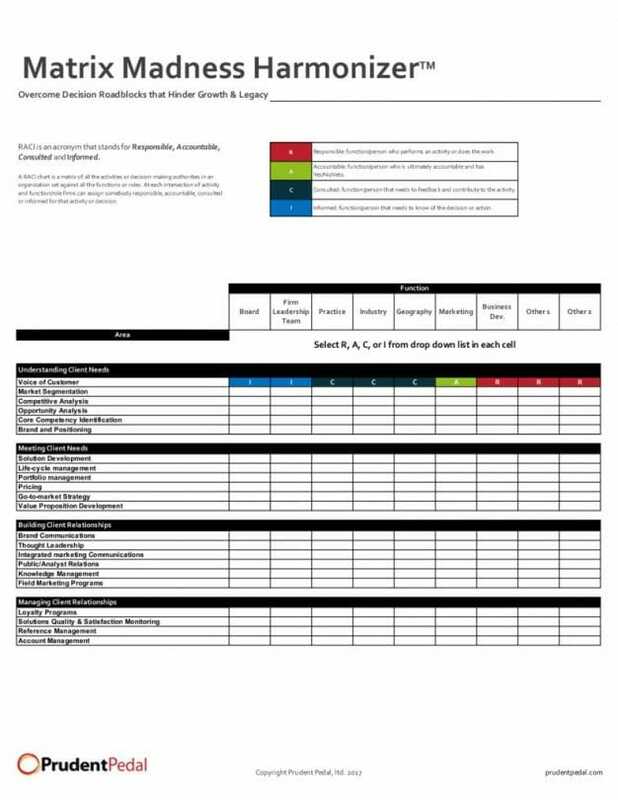 This is your guide to a more intelligent and effective way to allocate your precious marketing dollars. Win the budget battle by being smarter and more strategic—not by being a squeaky wheel. As a marketing leader, I have helped rebrand some of the world’s top consulting firms. I’ve learned a lot from my mistakes along the way. 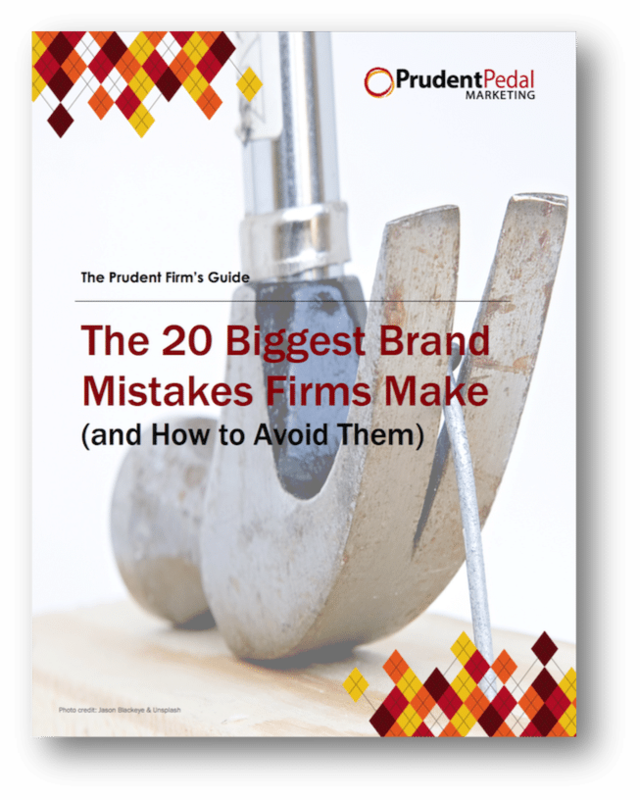 The 20 Biggest Brand Mistakes Firms Make (and How to Avoid Them) is written for firm leaders to help you avoid mistakes professional services service firms repeatedly make with one of their most precious assets. 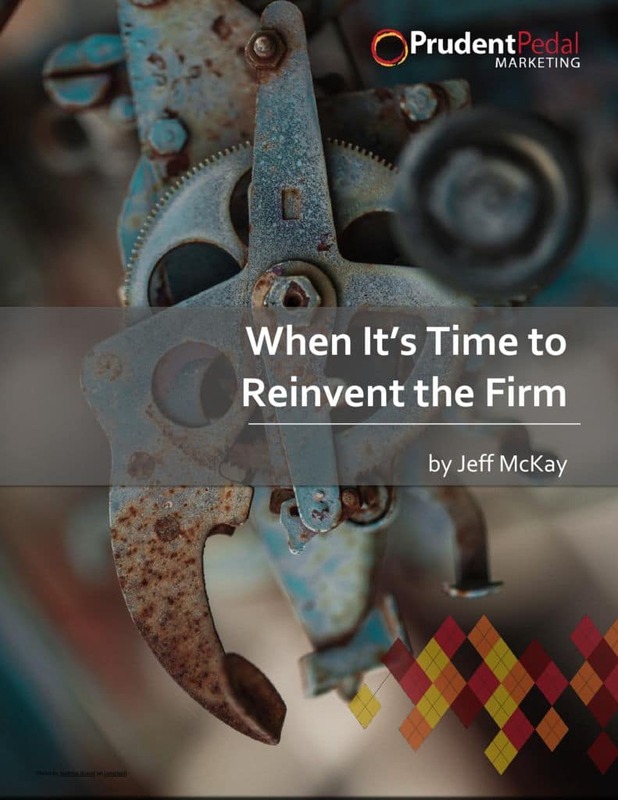 Rattle and Pedal, hosted by Jeff McKay and Jason Mlicki, offers divergent thinking on growing professional services firms. Be prepared for an unorthodox exchange on life in professional services. If you’re a practice leader or partner, one of your primary goals is hitting your number. 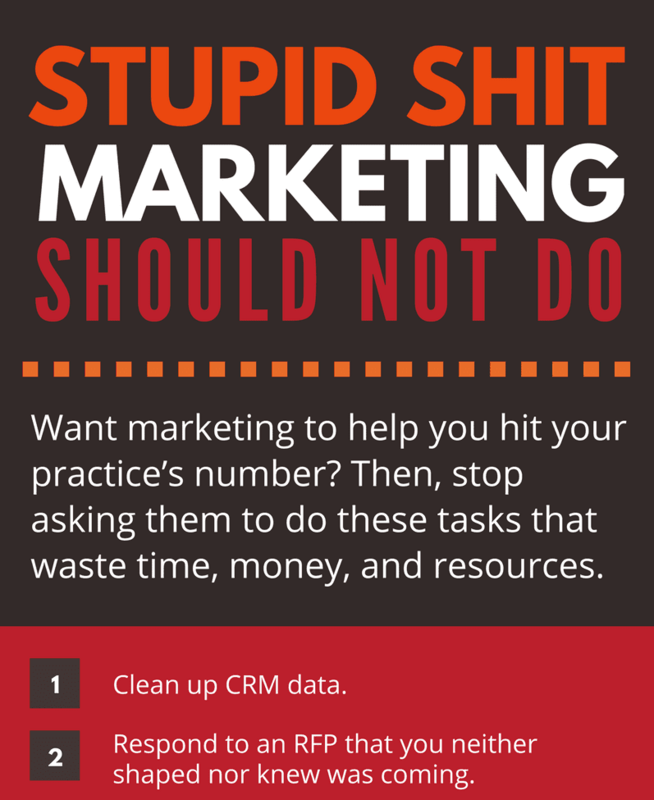 Improve your chances of hitting it by not asking marketing to do these 20 things that waste time and resources. Free them up so they can get to more demanding, and more valuable, work. The one your firm has chosen is delivering your current results. Did you choose the right school? 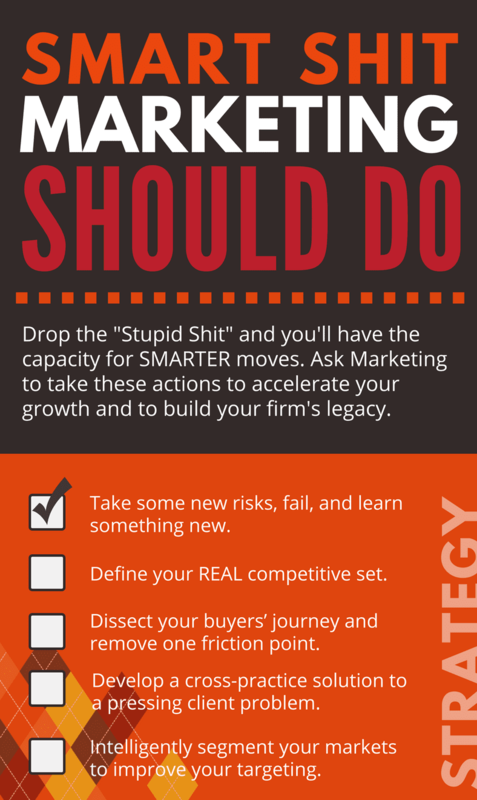 29 More Demanding, and Valuable To-dos Once You’ve Stopped Doing Stupid Sh*t.
This is the sister to our “Stupid Sh*t Marketing Should NOT Do” infographic, one of our most popular downloads for both marketers AND practice leaders. 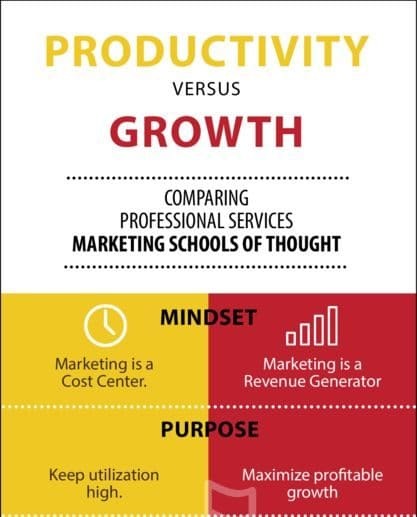 Do you want to grow faster, be more profitable, and differentiate your company? Then, identify your ideal client. Identifying an ideal client is the fundamental building block of a profitable, growing business. Some firms wait until they have stopped growing and need to painfully retrench. Others do it when they are king of the hill and have the luxury of excessive demand. You can’t build a high-performance marketing machine without knowing your starting point. 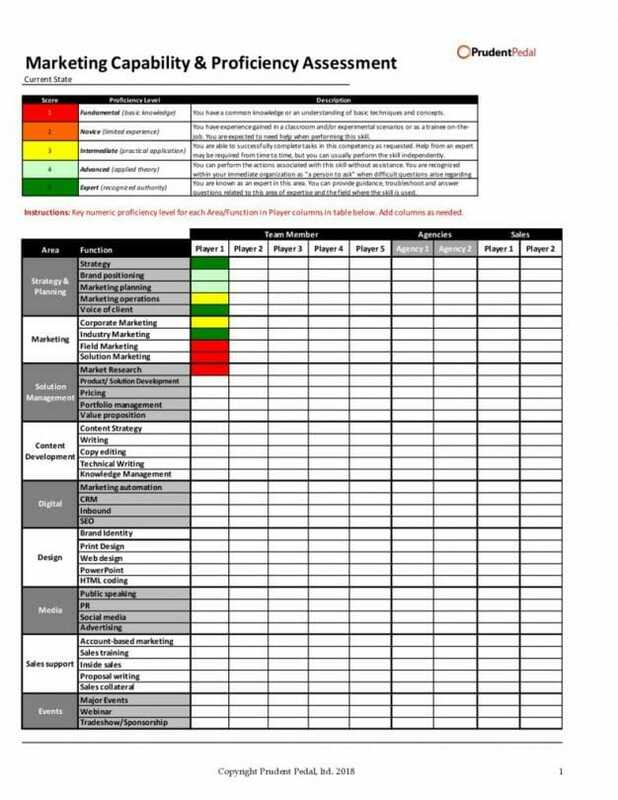 This simple, powerful tool allows you to quickly, cost-effectively create a heat map of your firm’s growth capabilities. There exists no more powerful and dangerous organizational structure than a matrix. Properly managed, it unleashes innovation, collaboration, client-centricity, and high-performance teamwork. Mismanaged, it is the sand–pebbles, rocks, and boulders–in the gears of the machine. This tool helps you unleash the power of the matrix. It’s difficult for marketing to hit a nebulous “lead” target. 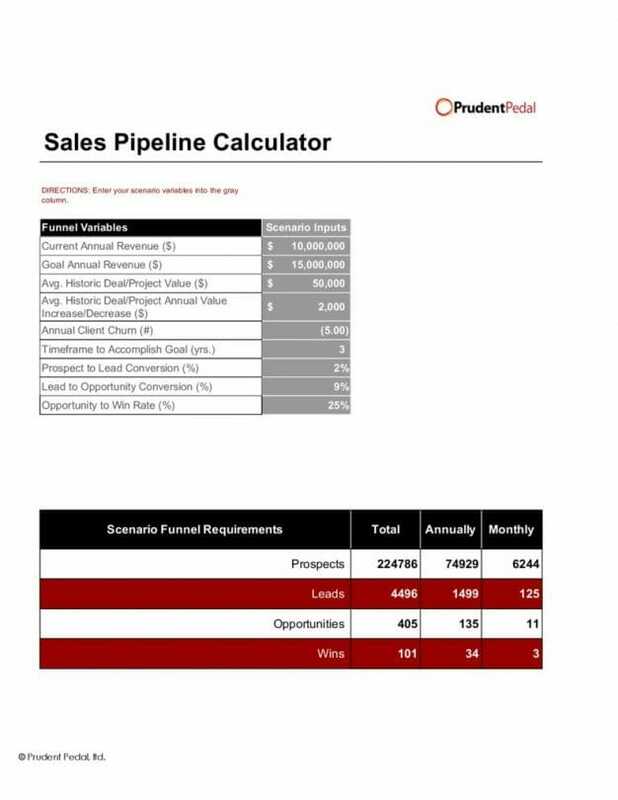 This intuitive tool allows you to pinpoint the number of prospects, leads, and opportunities that Sales and Marketing need to drive to surpass your growth goal. Talk with the prudent thinker about your firm. Schedule a free, no obligation, 30-minute consultation.